Early morning 7:00am from Vellassaru Resort, headed out 35-40 mins to North Male’Atoll with some friends from Malaysia. 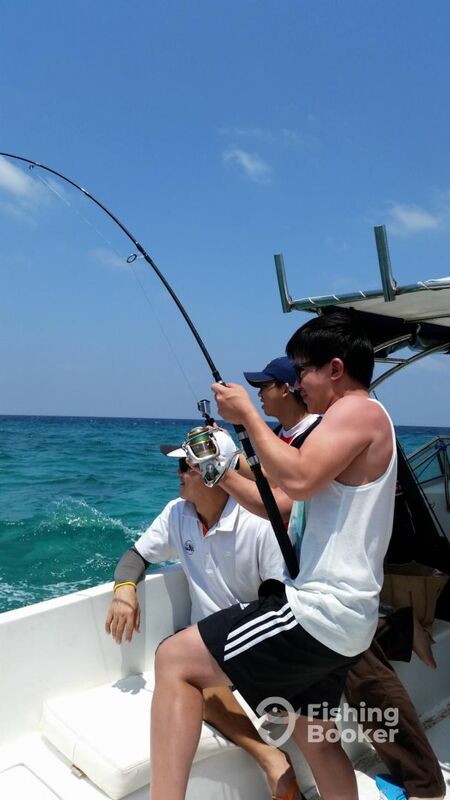 Mr. Benjamin Ong, has been waiting on this opportunity to aim on GT fishing in the Maldives. 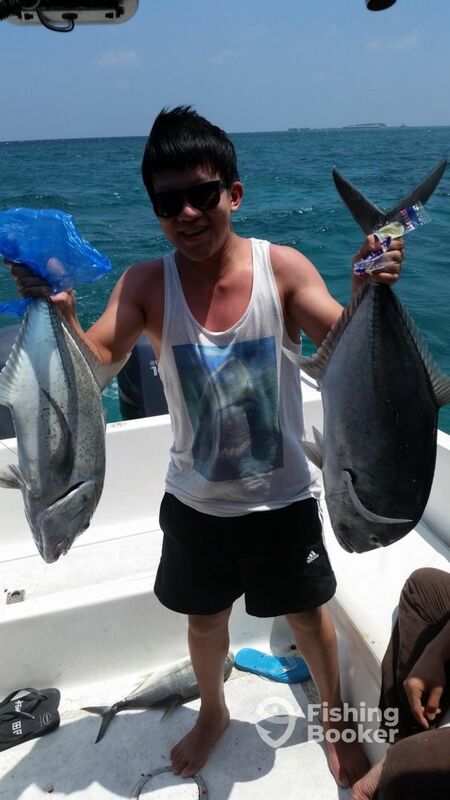 First catch of the day came from Benjamin’s son Ben, first timers luck!, catching a 2ft Jack on Popping. Following with 3 small size GT’s - 1 - 2 ft length weighting few Kg’s, near Huvafenfushi outer channel. We were using Crystal Poppers about 4 -6” inch dark blue with red belly Lures. 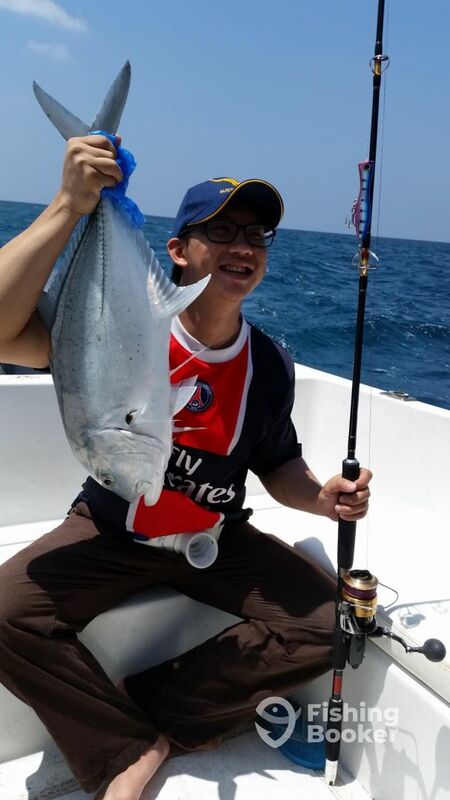 In the afternoon, winds had caught up and sea’s were getting a bit rough with no big luck. 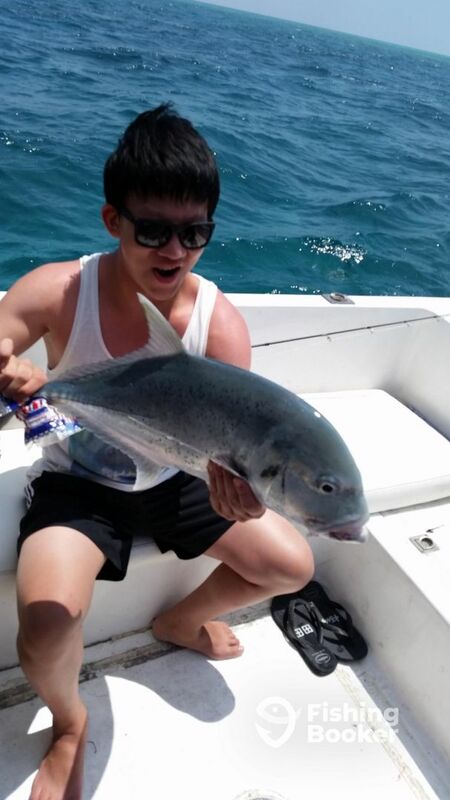 To Benjamin’s surprise, a last minute stop before reaching their hotel, we managed to get a big GT. Benjamin finally had the chance to a fight that fitted, which took about 10 - 12 mins to land it in. 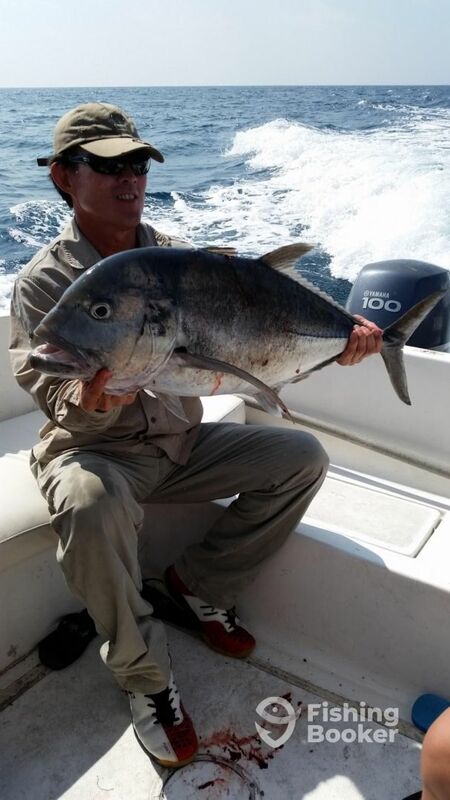 A good size GT weighing 10.27kg’s. 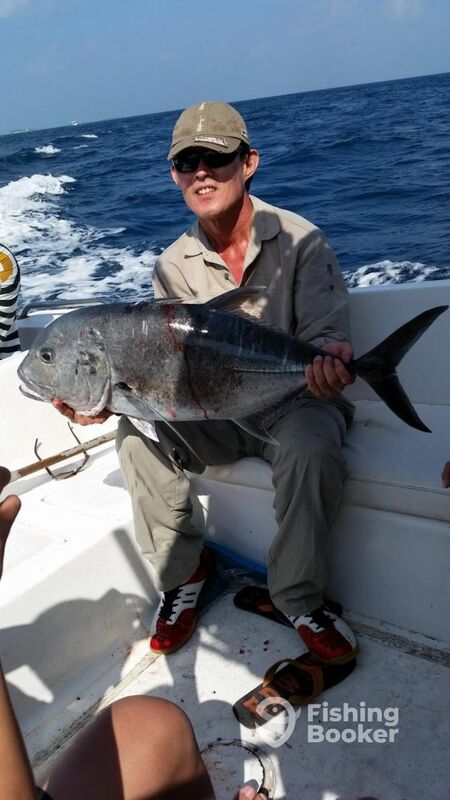 We were very happy with the day’s catch and hope the clients had a great day too.